Hot summers end extreme heat waves always pushed people to find some salvation and way to cool themselves. This quest enabled creation of many innovative technical devices and traditions, but only one item of them all managed to capture our imagination and wishes, giving everyone time to enjoy their moments in the sun and cool themselves like never before. This is a story of ice cream. 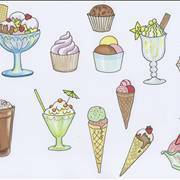 History of ice creams followed the rise of the modern human civilizations. Its incredible appeal and high manufacturing price fueled the minds of countless inventors, who trough centuries of trouble finally enabled the creation of the modern day ice cream industry. 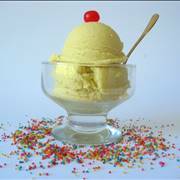 Find out more about ice cream history, timeline, and popular types here. If you ever wanted to find out more about ice cream here you will find not only the most interesting facts, but also information about most popular brands, effects of its use and much more. 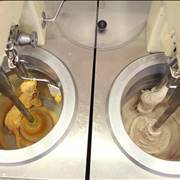 If you ever wanted to make your own ice cream or you are just interested in that process, here is the perfect starting point which has all the detailed information about ice cream ingredients and recipes. First ice creams appeared in ancient Persia, some 2500 years ago, and in those early times they were all based on the sweetened water that was iced, grinded into little pieces and then decorated with various tasting toppings and fruits. This tradition of ice cream production slowly reached Greek and Roman empires, where ice creams were welcomed with opened hands and used liberally by Roman nobility and royalty who had necessary money to fund very expensive process of production. Sadly, after the fall of the Roman Empire, organized ice transport from mountains to the cities below stopped, and ice cream continued to be even more expensive product. Little changed in the 1000 years following the fall of Rome, and only after the Europe started exiting Dark Ages did ice cream managed to resurface in Renaissance Italy. 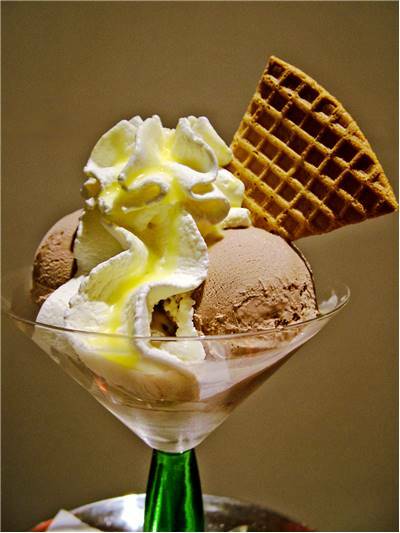 During 13th and 14th century, Italy was center of the trade with the Middle East and Asia, and their contact with new and innovative recipes of ice cream enabled this summertime treat to slowly spread across entire Europe. 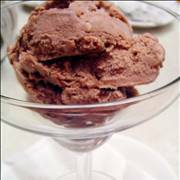 This expansion of ice cream was not an easy one, and it happened only after Italian noblewoman Catherine de'Medici went to France to marry Duke de Orleans (future king of France) in 1533. There she introduced nobility of continental Europe with the wonders of the east – eating utensils, high heeled shoes and off course, ice cream. With nobility fueling its production, innovators, technicians and cooks all put their best efforts into developing the rise of ice cream popularity and availability across the world. North American street vendors started selling ice cream only few decades after France and England, and industrial revolution slowly but surely started working on elevating problems of continuous refrigeration. Solution to that problem came only in 1926, when continuous refrigeration finally became reality with electrical freezers. 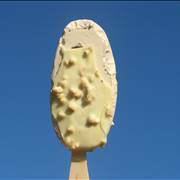 This enabled industrial manufacturers to start producing very large quantities of this frozen treat, which slashed ice creams price to the acceptable levels for everyone. Large popularity of ice cream in United States (especially during prohibition and market crash of 1930s) did not shifted to Europe until the start of the World War II. After WW2, ice cream industry received massive expansion, enabling creation of countless ice cream flavors, artificial ingredients and accessible price. 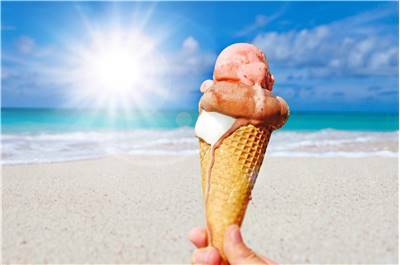 Today, ice cream industry earns dozens of billions of dollars each year, with United States being the largest consumer of this phenomenal summertime treat. Roman Emperor Nero adored ice cream. He established large chain of runners who brought fresh ice from the mountain to Rome biggest cities. 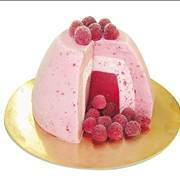 Marco Polo introduced Europe to the milk based ice cream in late 13th century. 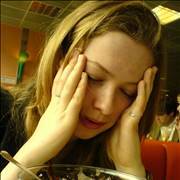 United States is largest producer and consumer of ice cream in the world. 90% of American households eats ice cream. 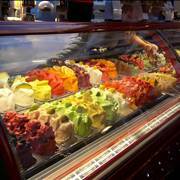 The most famous types of ice cream are Gelato, Neapolitan, Sorbet, stick and cone. First ice cream cone was created during 1904 World's Fair in St. Louis. Legends say that Charles I of England ordered beheading of his chef, who was blamed for releasing into public secret recipe of King’s favorite ice cream.